May 13, While on the road, this year Mother’s Day provides much opportunity for reflection and warm feelings. 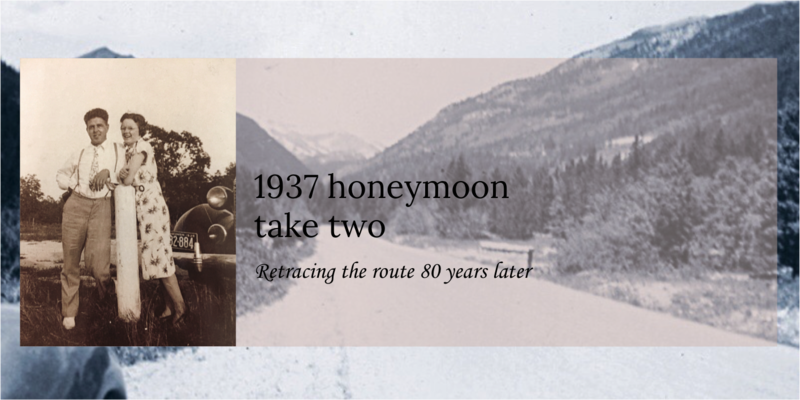 Our original intent was to document Earl and Ethel’s 1937 honeymoon and share it in printed version with each of our adult children. 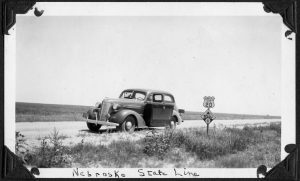 Never did we dream early on that we would set out on the road and follow the western roads and visit the same places that they did 81 years ago. Both of our children were to be married in 2016 and our goal then was to introduce them to grandparents they never met. 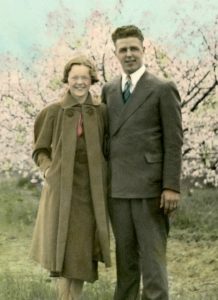 Earl and Ethel both passed on long before our children were born. 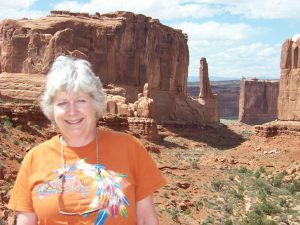 Lynn mentioned in the excellent newspaper account of our trip by Kent Tempus in the Oconto Reporter that the research gave me an opportunity to learn about my parents as well and see them as young vibrant adults with hopes and aspirations for their future. That was not my goal but it certainly was the result. And to Lynn, my wife now for 35 years tomorrow, May 14. Most times in conservation I call out to her as “mom” though this has nothing to do as my stand-in mother. It is a carryover from when our children were young and every time I say it now, it is because she is the mother of the two wonderful children she brought into this world and nurtured to fine adults. For that I am forever grateful too. A wonderful tribute to all the women in your life, Carl. Happy Anniversary! I think your journey is fantastic! I was disappointed that I didn’t get to your presentation at the museum in Oconto. I am hoping that you will give another presentation to share your experiences from your trip. I remember my mom saying that she was friends with your mom. They must have been neighbors as my mom also lived on Fourth Street as a child, a block west of the Kassube’s. Thanks very much for sharing your adventure. Thanks Tom. The importance of my message is that Oconto was a small town with heart that helped me and my sister Carol along. Everyone knew your name or, at least your nickname! What lovely thoughts Carl. I am glad to hear you have positive memoirs of what must have been a difficult childhood. Love is an amazing balm and hugs make all the difference. Carl–I have been following your adventures every day–what an incredible journey! However, this post brought tears to my eyes–it was so poignant and heartfelt. I am sorry your mother did not live to see you grow up, and that you did not have her with you during your childhood and adolescence–but, how you are getting to know her now through this trip is truly remarkable. It sounds as though you had exceptional women who stepped in and filled that void–how fortunate you were. Your tribute to Lynn was wonderful…! Carl, you tell your stories so lovingly. What a journey of discovery you are on. Your trip makes family history fun, even if bittersweet at times. My regards to your beloved. I agree on the fun and bittesweet. Thanks. Carl R.